sandileescraps: First Friday Fun at Trail Makers! This one is easy! Help us get the word out about the month long crop at Trail Makers! 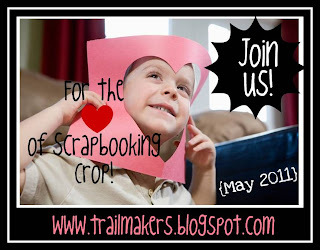 All you have to do is post on your blog about the crop on your blog and/or facebook. Then come back and link where you posted it! You have until Sunday, May 8 at 11PM EST for a chance at an RAK!